Rustic beach cottage about 100 yards from the beach. Located at 13 Beacon St York ME. There are 4 bedrooms, bathroom with a shower, kitchen, living room, comfortable dining room that seats 6-8 and a screened porch. It's a quick walk to the beach which makes this a perfect location. There is a flat screen T.V., Wifi and kitchen stocked with pots pans and utensils. There is parking for 4 cars a picnic table and portable gas grill. Rustic cottage close to be beach. We love York Beach & especially being close to the beach. You can walk to Long Sands from this cottage which is awesome as parking is difficult. We loved riding our bikes to Th General Store & picking up breakfast which we ate on the screened in porch of he house. The owners stopped by on our first day to make sure everything was ok which was a nice touch. We loved bringing our fur babies too as they enjoy morning and evening walks on the beach too. 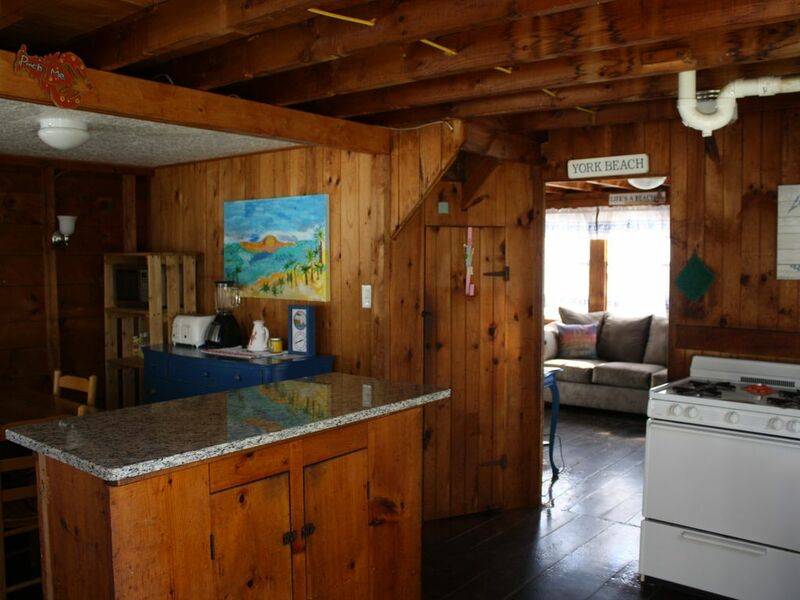 We had a wonderful time & enjoyed the simple pleasures of this rustic beach house. Couple of things to note: neighbors are close. But we enjoyed chatting with them :) There’s limited outdoor space but who needs that when you spend your day at the beach. Nice cottage. Updated from years past. Extremely close to Long Sands beach. A mile to Shorts sands beach with shops, restaurants and York Wild Animal Kingdom.